Far from the washout of qualifying, the Hungaroring was basking in soaring temperatures on race day. 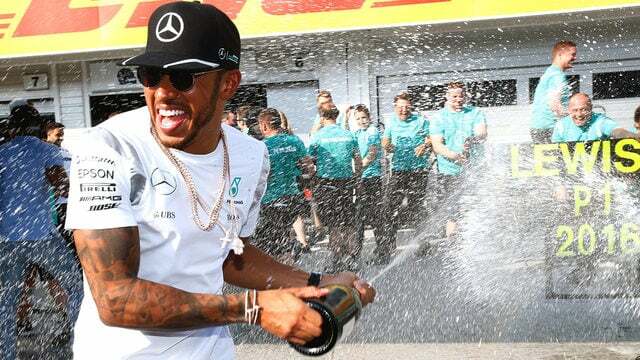 Nico Rosberg lost out from pole position off the start line, with Hamilton moving into first and Ricciardo briefly getting into second before dropping back again. Jenson Button suffered some kind of brake failure, lost all his pace, was told to retire the car and then instructed to stay out. From last place, he was given a drive through penalty for receiving too much radio instruction, and he ended up retiring before the end of what he called the race from hell. Meanwhile, there wasn’t a lot of overtaking, so it all came down to the pit crews. Renault did an amazing job to bring in Palmer directly behind the Force India of Hülkenberg but release him ahead of the competition. Sadly, Palmer spun it later, wasting the opportunity. Hamilton easily led to the finish, taking victory ahead of Rosberg and Ricciardo.